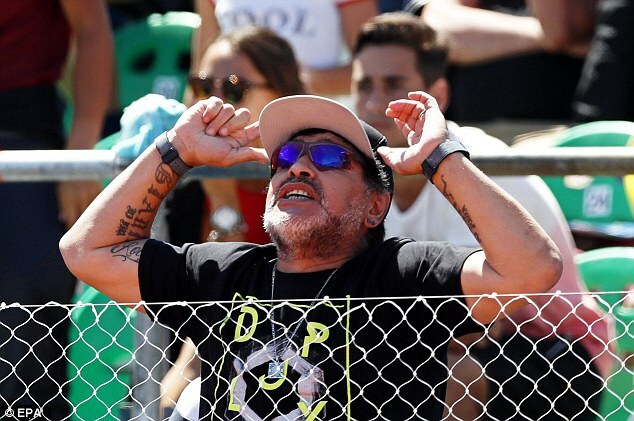 Argentina’s reign as Davis Cup champions is over after less than three months following a dramatic defeat by Italy in Buenos Aires, with iconic footballer Diego Maradona watching on. Guido Pella led Fabio Fognini by two sets to love in a deciding rubber held over to Monday because of rain as the hosts looked set to complete a remarkable comeback. 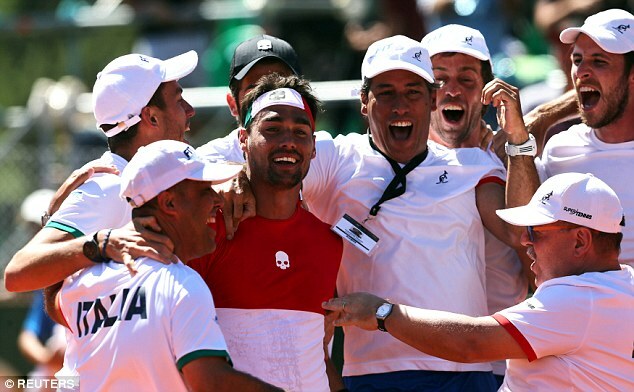 But Fognini had a final twist up his sleeve and rallied for a 2-6, 4-6, 6-3, 6-4, 6-2 victory to send Italy through to a quarter-final against Belgium in April. 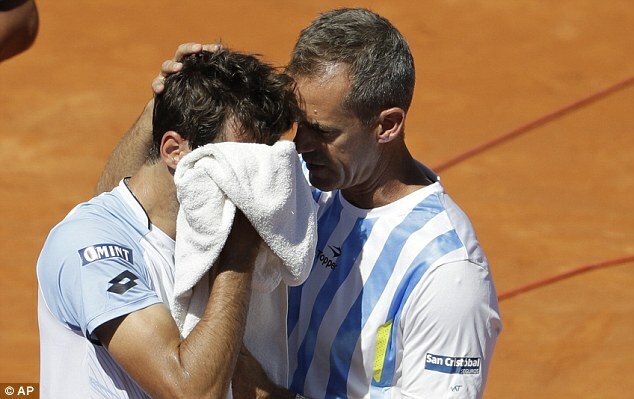 Argentina, who won their first Davis Cup title in their fifth final against Croatia in November, looked down and out when they trailed 2-0 on Friday. 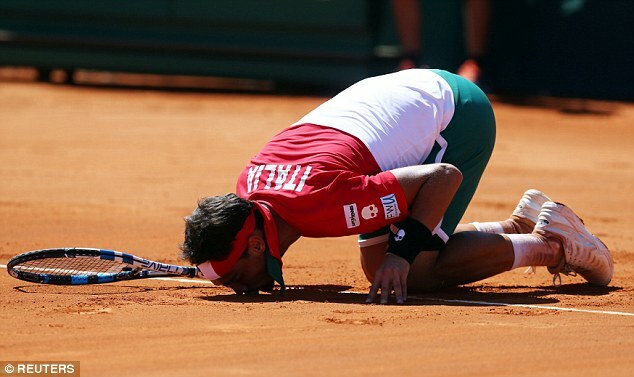 Leonardo Mayer and Carlos Berlocq then saved a match point in their doubles victory before Berlocq levelled the tie with another five-set win over Paolo Lorenzi. 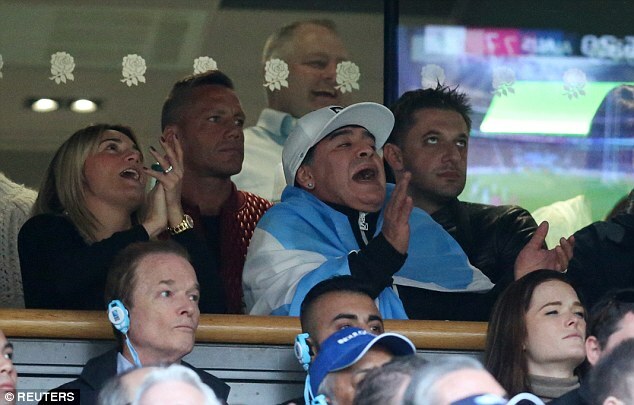 Ultimately those heroics proved to be in vain, though, and Argentina now face a play-off in September to hold onto their World Group status.